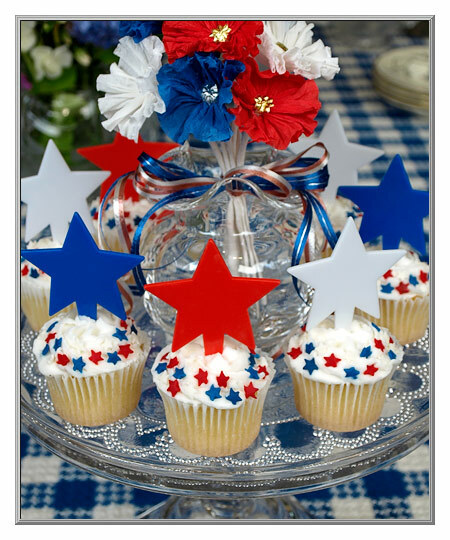 Add some star-spangled flair to your party table this holiday with these big, brightly-colored red, white and blue star food picks! Produced especially for the food industry, they are used accent all kinds of foodstuff, from cupcakes and pastries to sandwiches and appetizers. Solid cast star picks are made from a food safe hard plastic. Sold as as a set of 144 picks. 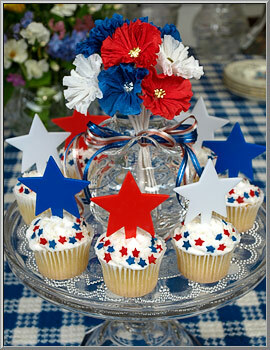 patriotic star picks are all 3" high.